The transportable, self contained, Universal Bi-Phasic ™ IPV Impulsator allows you to continue your home care cardio respiratory during your travels. Stored in a protective camera-type travel case weighing less than 15 pounds makes it easy to carry. 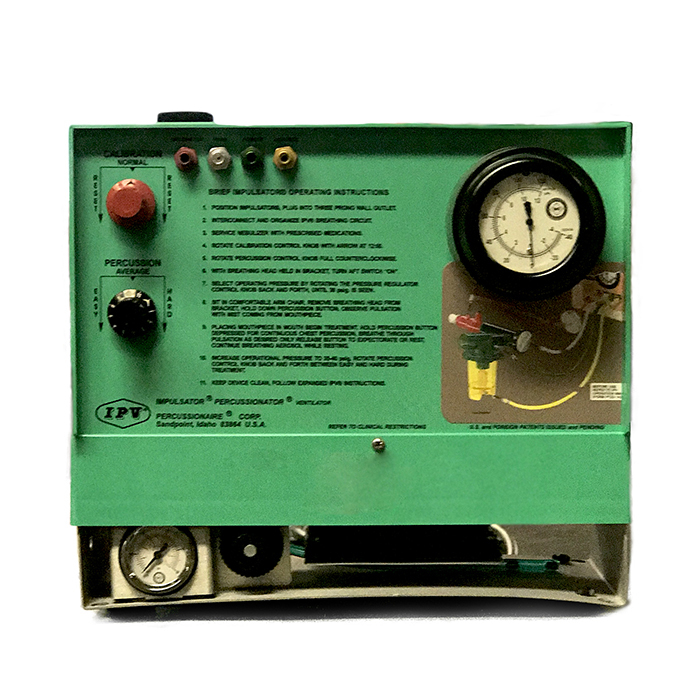 This respirator provides you with same IPV lung recruitment therapy (anywhere, anytime) you could receive in any major hospital if you were admitted with an acute cardio-respiratory infection.